Explore the following special offers and discounts to gain deeper insight into the trends shaping your field. Weren't able to attend the 2018 Conference? You can still purchase the 20th Annual Conference recordings for $299 and gain access to this phenomenal content (audio recordings synced with PowerPoint presentations) from the comfort of your home. This content will not be available in the ACEP Audio Library subscription program until June of 2019. So, if you can't wait to hear Andrew Newberg, Tony Robbins and many more illuminate the powerful role of energy healing practices, order now. 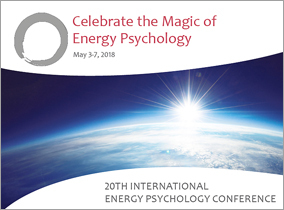 Keynotes include Jim Oschman, Kathlyn Hendricks, Dan Siegel, Stephen Porges, Donna Eden, Bruce Lipton, Rubert Sheldrake, Anodea Judith, Bessel van der Kolk, Gary Craig, Larry Dossey, Jean Houston, Alberto Villoldo, Dean Radin, Christine Page and more! 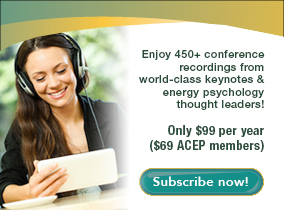 Sign up today and gain unlimited access to the entire ACEP library from 2005-2017 for one year. 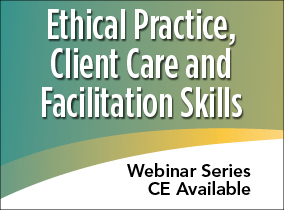 This series of 6 webinars (1.5 hours each) is required for the those studying to become a Certified Energy Health Practitioner (CEHP) through ACEP, but is available for purchase by all practitioners who would like to explore ethical practice, client care and facilitation skills as these topics specifically relate to energy psychology approaches. Cost of series is $250. Webinars may also be purchased individually for $50 each.